ZTE was heavy on the Android-related announcements today, but the handset and tablet manufacturer also announced a Windows Phone as well. 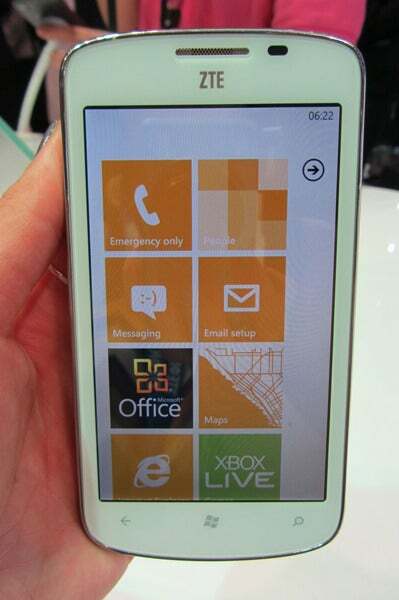 The ZTE Orbit joined the Tania as the second Windows Phone member of ZTE’s family. The Orbit is meant to be an inexpensive Windows Phone while the Tania is more of a premium device. You can definitely feel a difference between the two in hand: the Tania feels sturdier while Orbit is a bit plasticky. The Orbit isn’t an ugly phone, however, featuring a dotted textured back and round curves. The Orbit only comes with 4GB of internal memory, which is unfortunate considering Windows Phone doesn’t support expandable memory. There are quite a few other disappointments including lack of a 3.5mm headphone jack, no GPS, and EDGE connectivity for browsing. 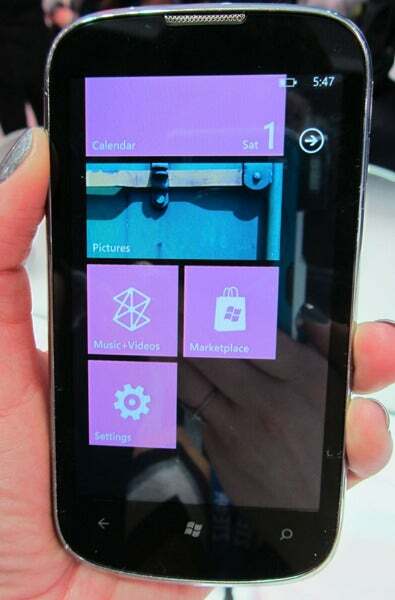 The Orbit does run Microsoft’s latest version of Windows Phone, Windows Phone “Tango,” which is optimized to run on phones with lower memory and processing power. The Orbit might be inexpensive, but you’ll be making a lot of sacrifices when it comes to performance and features. A lack of a 3.5mm headphone jack in this day in age is seriously mind-boggling. On the bright side, the Orbit has a 5-megapixel camera with autofocus and an LED flash, which took pretty decent pictures in my brief time with it. The ZTE Tania was released in Europe last month, but this is the first time I’ve gotten my hands on the phone. Like the Orbit, the Tania is also a low-end Windows Phone, but it is definitely superior to its sibling. For one, it actually has GPS support. With a 4.3-inch 480-by-800 pixels display, the Tania has a slighter larger and higher resolution screen than the Orbit. It also has a 5-megapixel camera. Sadly, like the Orbit, the Tania is limited to only 4GB of internal memory and no external memory expansion.